When a client comes to me and tells me they’ve been on thyroid medication for years, my first question is always, “Do you feel any better?” The answer, of course, is usually no. If they were feeling better, they wouldn’t have come to me in the first place. These people (almost always women) typically feel like dog poop. They can’t lose weight no matter how good their diet is, nor how diligently they exercise. They’re tired, they’re depressed, they’re cold all the time, their hair is falling out, and they just plain feel like crap. Based on what I already knew about thyroid function, plus my own experience, plus the presentation of clients who’ve come to me, I’ve come to the conclusion that thyroid hypofunction is insanely under-diagnosed. And when it is diagnosed, the vast majority of MDs (including endocrinologists) have NO CLUE how to treat it effectively. There is a vast, vast amount of suffering going on out there for NO REASON other than doctors are not savvy enough in the details, and most patients are not aware that they need to stand up for themselves, be their own strongest advocate, and tell their doctor that even though they’ve been “on thyroid medication” for however many weeks, months, or years, THEY STILL FEEL LIKE GARBAGE. So this post is dedicated to anyone out there who feels this resonates with them. I sincerely hope you find this information helpful. Let’s start with a brief overview of what the thyroid does. The thyroid gland (located at the front of the neck, below the Adam’s apple and in front of the windpipe), is often called the “master regulator” of metabolism, owing to its profound influence on how the body uses energy. Healthy thyroid function is crucial for maintaining a healthy weight, good energy levels, and even a positive mental outlook. The thyroid helps establish your resting metabolic rate: the amount of energy your body uses—the “calories you burn”—while doing absolutely nothing. It’s the rate at which your body uses energy just to run all the processes that keep you alive (such as breathing and your heart beating). Differences in thyroid hormone levels may partly account for why some people seem to have very “fast” metabolisms even when they do no exercise at all, and why others fight like hell to lose mere ounces while following a strict diet and exercise plan. Owing to its critical role in metabolism and the efficient functioning of myriad processes in the body, reduced output of thyroid hormone results in an overall slowdown that affects just about everything. 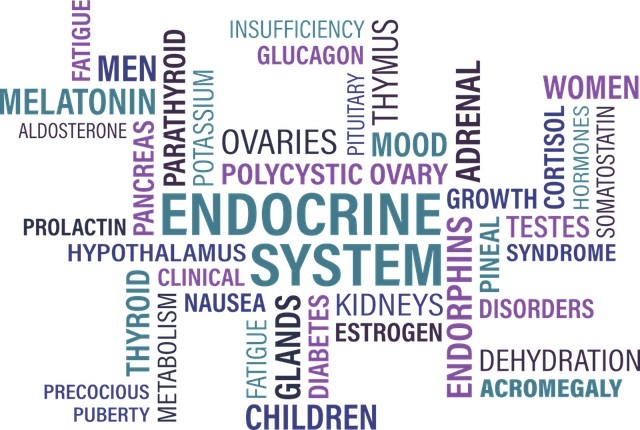 Considering the effects of thyroid hormone on metabolism, these are no surprise. Everything in the body slows down: the heart rate, generation of heat, and even the movement of waste through the colon. Thyroid hormone is required for proper functioning of the LDL receptor, so that’s why LDL accumulates in the bloodstream when thyroid hormone is low. I was going to say that a sluggish thyroid has physical and mental/psychological effects, but based on my own experience (which, admittedly, might not be representative of everyone else’s), I can say that the mental and psychological effects are physical—or, rather, they’re biochemical. My depression absolutely had/has its origins in a hormonal and physiological dysregulation. For me, depression was NOT “all in my head,” and I couldn’t just “smile and cheer up,” or “look on the bright side,” because it was being driven by an underlying physiological abnormality that needed to be corrected. (More on this in part 3.) The point is, the physical body slows down, but even your thoughts and emotions slow down. And you can’t talk-therapy your way out of it because these terrible thoughts aren’t something you’ve fabricated for no reason. They’re not imaginary. They have a biochemical/hormonal basis. At best, you can fake it until you (and your doctor) actually correct the underlying problem. So that’s hypothyroidism. But what about people whose thyroid gland is on overdrive? Hyper­thyroidism is much less common than hypo, but it’s not unheard of, and these folks often get left out of discussions of thyroid function so I don’t want to ignore them. Plus, some people—particularly those whose thyroid issues are autoimmune in nature—tend to ping-pong between hypo and hyper, so it can be difficult for them to get a proper diagnosis. It’s important to know that you don’t have to experience all the symptoms above in order to have an under- or overactive thyroid. 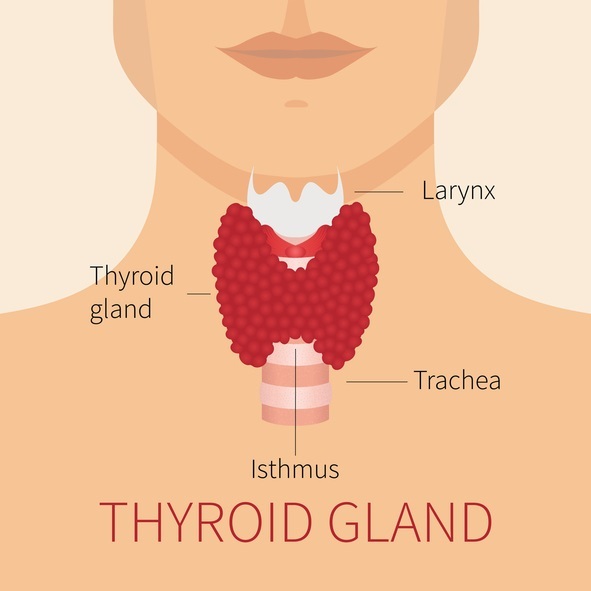 Hypo- and hyperthyroidism can manifest slightly differently in different people, so if you find yourself nodding at more of the symptoms than not, you might want to get yourself a proper thyroid assessment. Thyroid stimulating hormone (TSH): TSH is not produced by the thyroid gland, itself, but rather, by the pituitary gland (located in the brain). It does exactly what it sounds like it does: it stimulates the thyroid to produce its hormones. TSH is often high in individuals with low thyroid function: if the thyroid gland doesn’t respond by secreting its hormones, more TSH is generated in order to send a more forceful signal. (Kind of like insulin resistance: when your cells don’t respond properly to insulin, the pancreas pumps out more of it in an effort to make them respond.) 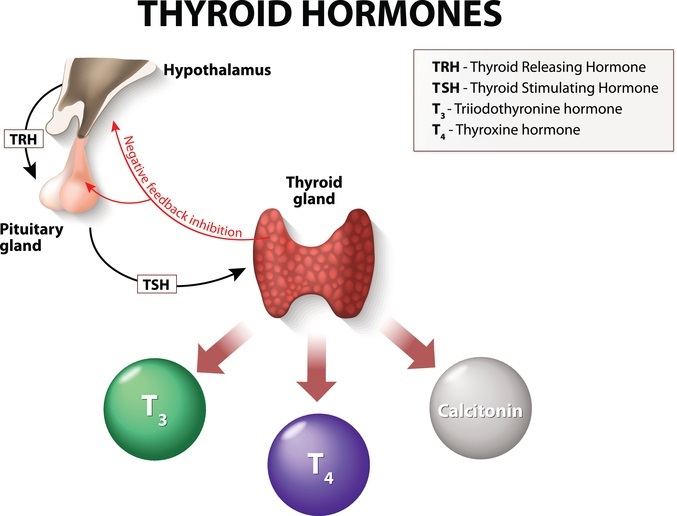 In less common cases of low thyroid function, TSH will be low, which means the thyroid gland doesn’t receive an adequate stimulus from the pituitary in the first place. Many doctors test only TSH when you ask for a thyroid test. This is semi-criminal in my opinion. Knowing your TSH is helpful, but it doesn’t stand alone. You need several other pieces of information to understand why TSH is high or low. (This reminds me of what Dr. Eric Westman and Jimmy Moore said in their book, Cholesterol Clarity: knowing your total cholesterol is about as useful as knowing that the total number of runs scored in a baseball game was 13. Whoop-de-doo. Was it a 13-0 gutting by one team, or was is a 7-6 nail-biter? Who won? The total score tells us nothing, just like knowing only your TSH is worthless to you.) A TSH that’s high or low tells us only that TSH is high or low; it doesn’t tell us why, so good luck correcting the underlying problem. For that, we need to look at a couple of other hormones. Triiodothyronine (T3): T3 is the more potent or “bioactive” form of thyroid hormone. It’s responsible for most of the effects we associate with healthy thyroid function and an optimal metabolism. The thyroid secretes small amounts of T3, but most T3 is produced from T4 in other parts of the body. The enzyme that converts T4 to T3 is a de-iodinase—it removes one iodine atom from T4, leaving 3. (This is where the “3” comes from in T3. Neat, huh?) This enzyme is selenium-dependent, which is why you may have heard selenium is important for thyroid function, in addition to the obvious iodine. As with T4, T3 is also measured as total or free T3, with free T3 being a better indicator of thyroid status than total T3. In my opinion, free T3 is the most telling measurement when you’re experiencing signs of thyroid dysfunction, but that’s my personal bias speaking. Other hormones are important too, but believe it or not, many doctors don’t measure T3 at all! (Neither total nor free.) They measure TSH only! The thinking is: if your TSH is normal, then your T3 is normal and your thyroid is fine. (Because they assume that if your thyroid wasn’t fine, your T3 would be low, which would signal the pituitary gland to pump out more TSH. But since the TSH is normal…) Well, let’s get one thing clear right here: having a normal TSH does NOT mean your thyroid is working properly. If your doctor has tested only TSH and told you your thyroid “is fine,” yet you know damn well you feel like crap and are living with multiple signs & symptoms of thyroid dysfunction, you have a couple of options: politely request that your doctor order the comprehensive thyroid panel we're talking about here, order one yourself (which you can do via DirectLabs.com), or GET A NEW DOCTOR. Don’t let a well-intentioned but ignorant and incompetent physician be an obstacle to you reclaiming your quality of life. The hypothalamus (in the brain) secretes TRH, which tells the pituitary gland (also in the brain) to secrete TSH. TSH tells the thyroid gland to secrete mostly T4 and a little bit of T3. Most T3 is converted from T4 in other tissues. but rather, with the pituitary or hypothalamus. Reverse T3 (rT3): Think of this as a T3 impostor—it fits into the receptor for T3 but doesn’t have the same hormonal effect. In effect, it blocks the real T3 from doing its job. (It’s considered a “biologically inactive” form of T3.) I wish they would call it impostor T3, because that might help us be more aware of what it does. rT3 is sometimes elevated during periods of heavy stress or a serious illness, as the body’s way of conserving energy. 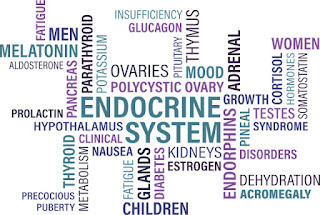 (Remember, thyroid hormone—free T3, in particular—is responsible for how quickly our bodies burn through energy. If you’re running around doing a million different things at once with no breaks and no down time, from a biological/evolutionary standpoint, that would be pretty dangerous. So rT3 comes along to force you to slow down. Or, rather, since you won’t slow down, your body will. Your heart will. Your brain will. Your colon will. So you’ll have a low heart rate. You’ll be depressed, constipated, fatigued, and all the other fun stuff we associate with hypothyroidism.) Reverse T3 often goes hand-in-hand with high cortisol. If cortisol is the gas pedal, rT3 is the brake, trying to keep the car (your body) from careening out of control. The thing to keep in mind when assessing your thyroid status is that “normal” is a relative term. Lab ranges differ slightly between testing companies, so what’s considered low or high might be different, too. Depending on the lab used, the very same value could be normal or out of range. The key here is to go by your symptoms. The lab values are a guide, but how do you feel? More than the numbers on a printout, your signs and symptoms should guide you and your doctor toward the appropriate course of action. Far too many people with obvious signs and symptoms of suboptimal thyroid function are told they’re “normal” and are provided with no relief. This is probably more common for people why are hypothyroid, rather than hyper. Some of the signs & symptoms of hypothyroid can be (erroneously) attributed to other things. Weight gain, fatigue, muscle weakness, depression: you just need to eat less and move more, fatty! Add some fish oil to your post-workout protein shake while you’re at it—didn’t you know exercise and omega-3 are both good for depression? Constipation? Eat more fiber. All those fast food fries and sodas that are making you fat don’t have any kale or chia or “roughage” to help you poop! You’re cold all the time? How is that possible, lardass? With all that body fat to keep you insulated? You must be making this up. Take an antidepressant and go on a diet, you lazy sack of crap. FFS. FFS, people. FFS!! I want to take everyone who’s ever been treated this way by a medical professional and give them a big, warm, long hug, and join them in a cathartic cry. You deserve better care than this! SO: even though lab ranges are only a guide, here are the basics, with the understanding that you might experience issues related to hypo- or hyperthyroidism even if you fall within the reference ranges. In the next post, we’ll look at interactions between low carb diets and thyroid function. Some people with hypothyroid issues find things magically get better when they go low carb or keto, while others who start off feeling great find that, over time, they start to have symptoms of low thyroid. What gives? Is it possible that a way of eating that has such wonderful benefits for so much of the body could be harmful for the thyroid? Awesome article! I have an elevated TSH (around 8), but the rest of my thyroid panel shows everything else within normal limits. I also don't have any symptoms. So, that means I have subclinical hypothyroidism. I've had this for years, and continue to monitor it to be sure I don't develop frank hypothyroidism. I have even lost 52 pounds on keto since January 1, 2017. Twelve years ago, doctor convinced me to go on synthroid. I was on it for 8 years, until I decided to taper off of it. My insomnia improved, but other than that nothing changed other than my TSH rising outside the normal range. I see no sense in treating a number, especially if the treatment messes with my sleep. As long as you FEEL WELL, that's what matters, and not the numbers. It's so crazy...based solely on the lab values, people go on medication when they don't need it, and other people who DO need it don't get medicated. It's a jungle out there. I must be lucky. Diagnosed 1 year ago with hypothyroid (non-Hashi)when I couldn't get off the sofa and just wanted to sleep all the time and woke up one day 4kg heavier than I'd been my whole adult life. Started with 50micrograms synthetic thyroxine - no change, doubled to 100 micrograms - felt myself again! Now taking 150 micrograms a day. I've almost lost all the weight, feel like I did before, and even grew eyebrows I didn't remember having. Blood tests suggest I'm slightly in the hyper range now, but doctor says go by how I feel and his exams (e.g. for sluggish reflexes, which I still have). 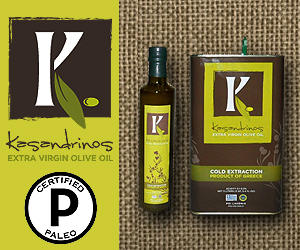 I have been eating low carb for 5 years, and dabble in keto, so would love to hear the evidence for whether that's going to help or harm my thyroid health. So glad you're doing better! Thyroid can really have such a huge impact in quality of life. And I LOVE hearing that your doctor goes by your symptoms, and not solely by the numbers. HALLELUJAH! You'll like the next post, I think. That will cover what you're looking for -- interactions between low carb and thyroid function. My girlfriend has had thyroid issues for years; I'm looking forward to part 2. Thank you! Thanks for the detailed information. I'm looking forward to more. I like hearing about your personal experience because you are not saying everyone will be like you, but you are offering one valid experience. Thanks for all the detailed information. I'm looking forward to more. It's helpful that you share your personal experience. Found you via your discussion with Mike Moetz on his channel and came to your blog. (FASCINATING interview BTW, my mum has Alzheimers and i am overweight, hypothyroid...) So was very interested to find the first topic I see is about thyroid problems. I am diagnosed, and feel lots better on medication but still find it so difficult to lose weight. 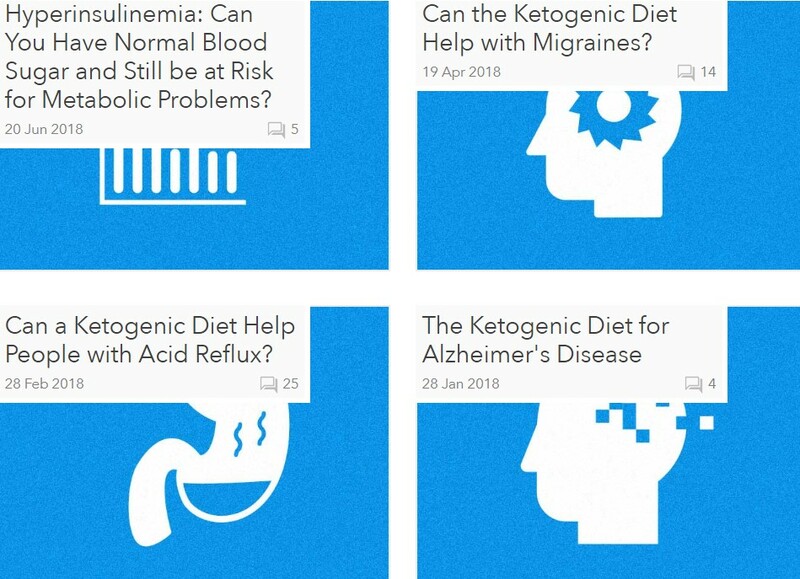 Have been low carbs for just a few days, so am at the sharp end re learning about keto/low carb eating , and interested to find out which would suit me best. Oh I suspect this is going to be good! I am one of those perverse hypERthroids, I'm told Graves, and I'm also fortunate that probably because there are so many old folks around our GPs seem to be well versed in thyroid issues. The Rule here in the UK is that thyroid is "normal" until TSH is in double figures, which is clearly ridiculous, and that only TSH should be tested. Well they happily break both those Rules, I got my T4 and T3 done, but since they track the reciprocal of TSH closely, often not the case, I only get TSH now. I am stable on the same dose on Carbimazole for anything between 6 and 12 months, but every so often my thyroid will go off on one, either suddenly drop like a stone or shoot off into the stratosphere, and I have to do some careful dose tinkering until it settles down again, which she permits me to do (I have 20mg tabs which can be split in two, and 5mg tabs which can also be split). Ah yes, the question! During my most recent "episode" I had to go up from my usual dose, which averages 17.5 mg, up to 30 for a while, then up to 40mg before the damn thing went back on the rails, since when I have been carefully lowering the dose: currently I'm mostly subjectively back to "normal" on 25 - 30mg. Most hypOthyroids I know need to be around TSH of 1 - 2 to feel truly normal. I actually do better keeping mine slightly suppressed, ie. TSH slightly high, which I suspect is because it spikes. In fact sometimes I feel like I have symptoms of both high and low simultaneously, so have you come across any research showing pulsatile or other rapid fluctuations in output? It's a fact which should be better know that insulin output from the pancreas is actually pulsatile: I suspect it puts out a batch of insulin, then pauses and waits for a return signal before deciding how much insulin to put out in the next pulse. If the thyroid also does this it might not only explain my "mixed state" but also some of the many whose numbers are truly normal but whose symptoms still aren't. I'm not quite clear on what you're saying here, but yes, some people ping-pong back and forth between hypo and hyper symptoms. As for thyroid hormone secretion (or its stimulating pituitary and hypothalamic hormones) being pulsatile, it wouldn't surprise me. I know growth hormone (from the pituitary) is pulsatile, so maybe TSH (and others) are as well. I think this is part of why thyroid dysfunction is so difficult to treat correctly, and when you do feel like it's being treated correctly, then things change and go off the rails again, as you've said here. There are some good thyroid forums and Facebook groups. Have you ever asked this question somewhere else? I'd be interested in the responses. Can't wait for the next article! I've shared all your info with as many people out there as I can to stop the suffering. It's ridiculous. As for me, my TSH was around 3.75 before keto; after, with a lot of fasting involved because I was 10 lbs from my goal, 8.25! But I felt great! Dr. freaked out though! Explain that one! What timing for an article on Thyroid function. Just what I needed. 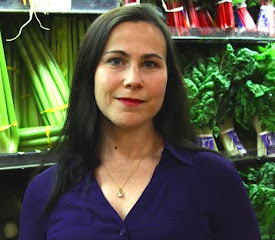 Me and my mom had started a low to moderate carb diet to get out of metabolic syndrome. My mom (75yrs) who is diabetic and on metformin for many years was able to bring her hA1c from 6.4 to 5.6 over 10 months! lost a few pounds and she is feeling good. But at the same time her labs showed her TSH jump to be 9.2 (normal 0.4-5) after being normal all these years! Was perplexed why the change. 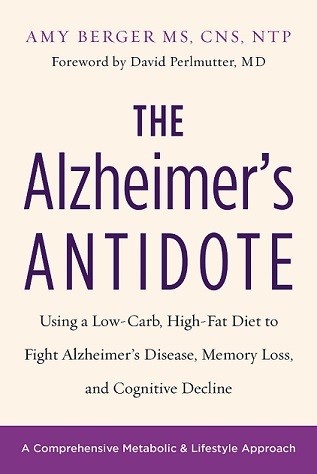 was it the low carb (mostly no added sugar or processed food; eating home cooked food pretty much 90%)? we had also switched to no iodine salt too at home. maybe it was iodine deficiency? I will add iodine back into our diet for now as doc wants to retest in 2 months to make sure. Maybe I will get the whole thyroid panel done on my own for her as the our HMO only seems to run TSH! thank you for this article. very helpful for us to be informed on this. I think part 2 of this series will help too, if you haven't already read it. I recommend the full thyroid panel, but even with a high TSH, if your mother *feels well,* that's what matters. Thyroid is much more complex than many MDs realize and unfortunately, when they go solely by the numbers on a lab printout, versus taking a few minutes to really *listen* to patients, asymptomatic people end up on medication, and people who have symptoms like crazy but whose numbers "are normal" *don't* get the help they need. Thank you for very interesting information, my husband has a very low TSH (0.05) from more than 15 years. He is ok, symptoms free...but his thyroid gland is very big and polinodular...He is 60 years old, do you think he needs a surgery to remove his thyroid? Thanks for writing. I'm not a doctor, so I can't comment on surgery. It's interesting that he's symptom-free though, if he has a visibly enlarged thyroid. I don't know what to tell you. Enlarged thyroid and nodules usually respond to supplemental iodine, but again, I can't recommend anything specifically since I'm not a physician. He can do an iodine loading test and see what his status is. This pisses me off. I didn't know that high LDL or edema were hypothyroid symptoms. My current doctor actually ran the full panel and is treating my hashimoto's with T3 only (things seem to be going well). But I don't think he knows that high LDL is a symptom, either because he keeps trying to get me to take a statin - and this fall he didn't even run a cholesterol panel since I "won't do anything about it". As for the edema - I spent too much time worrying about my heart because of it! My heart is fine, but I could have skipped the three cardiologists, eh? 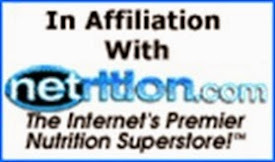 I have hypothyroidism and taking Cytomel. My TPO Antibodies are 17 IU/ML. looks like i have hashimoto's. I also had a partial thyriodectomy in August of last year due to a large goiter.I also have hyperparathyroidism. I am vegan and on a low carb diet.